I found these funny fruity 'stickers' at H&M while I was shopping with Nanja this weekend and I just had to have them. 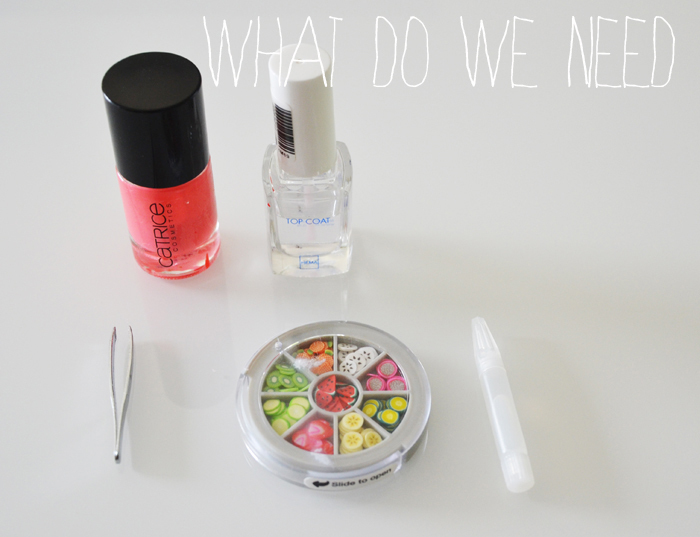 I'm really clumsy and impatient when it comes to nailpolish and nailart but these are actually pretty simple! The trickiest part is just putting on the nail polish. You can always use a basecoat before applying the colour but I'm kinda lazy sometimes. 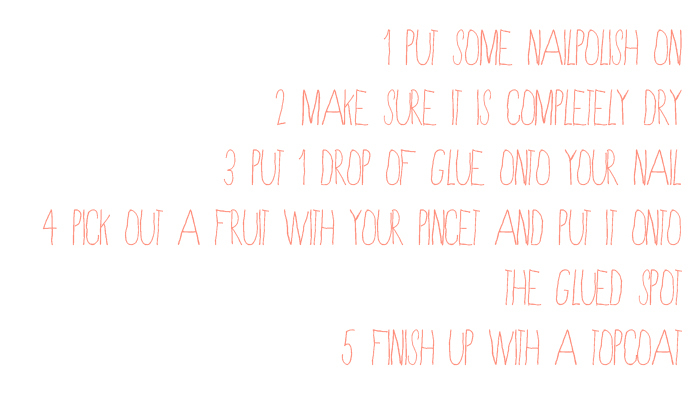 Just make sure you use the topcoat so the fruit parts are extra protected. The glue sticks really great. I even had troubles getting off the fruit! So 10 points for H&M! Hooray! Ha zooo leuk! Wel spijtig dat ze niet net iets dunner zijn. Super leuk! Erg origineel :D Hopelijk blijft het lang zitten! omg pineappleeeez! wow cool dit moet ik echt keer proberen! :D thaaanks for the tip! Oh deze zijn schattig! Vooral die ananasjes zijn echt té cute, haha.